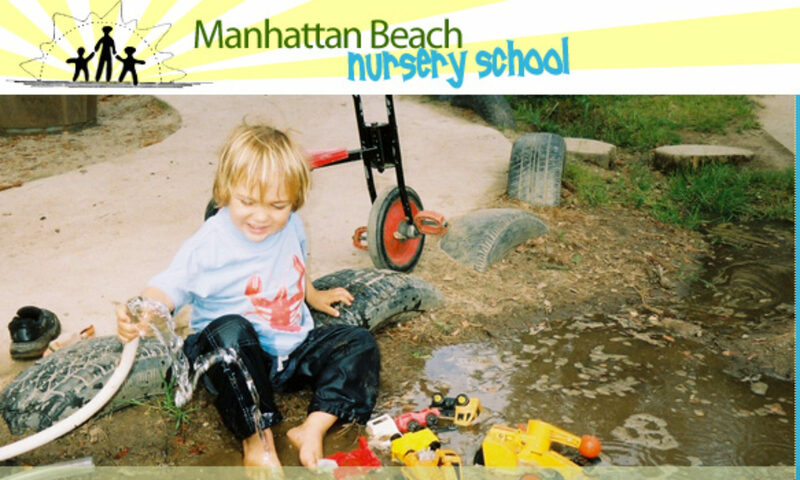 A parent participation co-operative preschool since 1950. Have you checked out our whimsical “Kid Talk” page? In the yards and halls, we so often are tickled to be privy to the fresh ways the children see their world and express themselves. (Some of ) What January looked like on campus. All photos originally appeared on our Instagram page. Toddler & Me Group starting up. 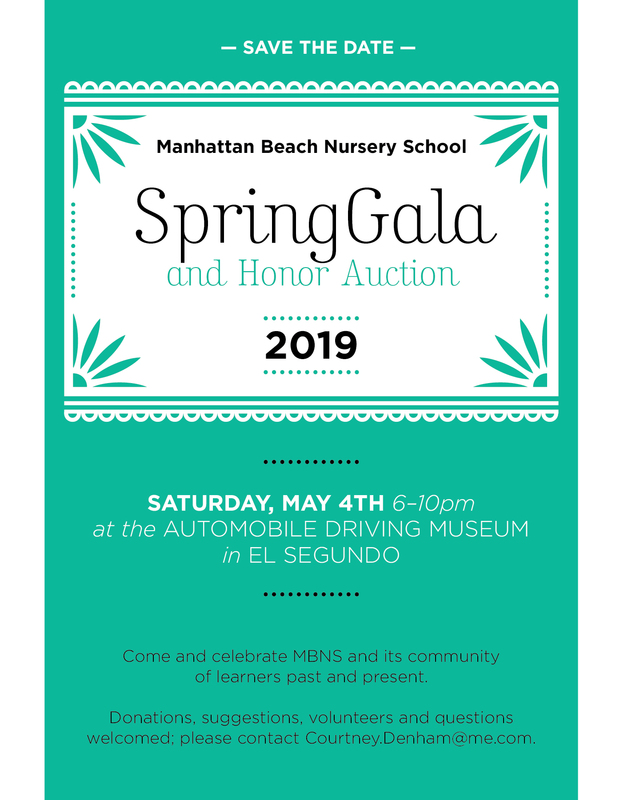 Save the date for our annual Spring Gala and Honor Auction! The pulse of nursery school life. 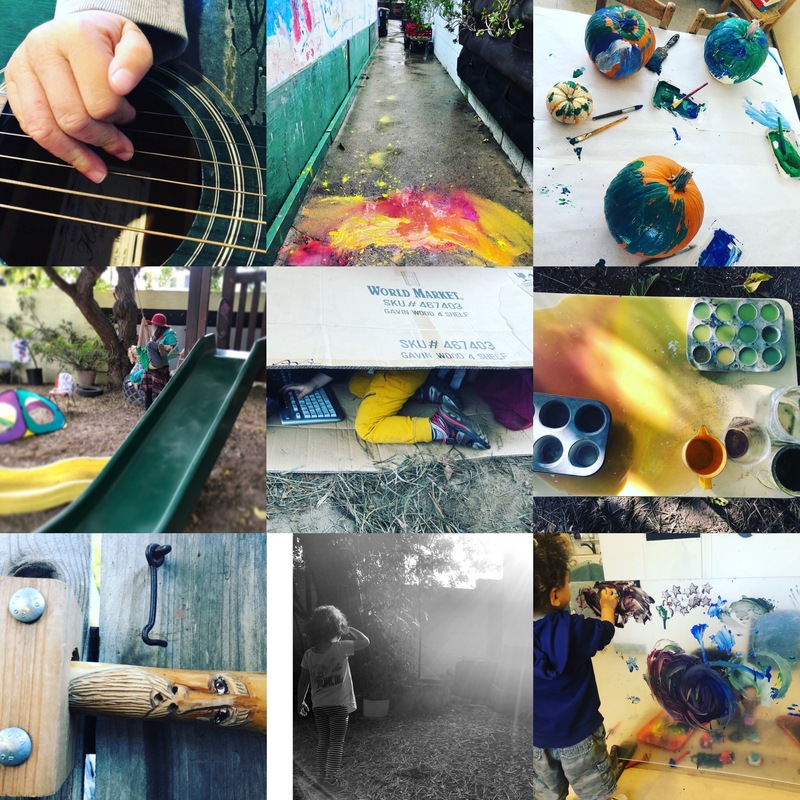 Have you visited our Instagram page lately? 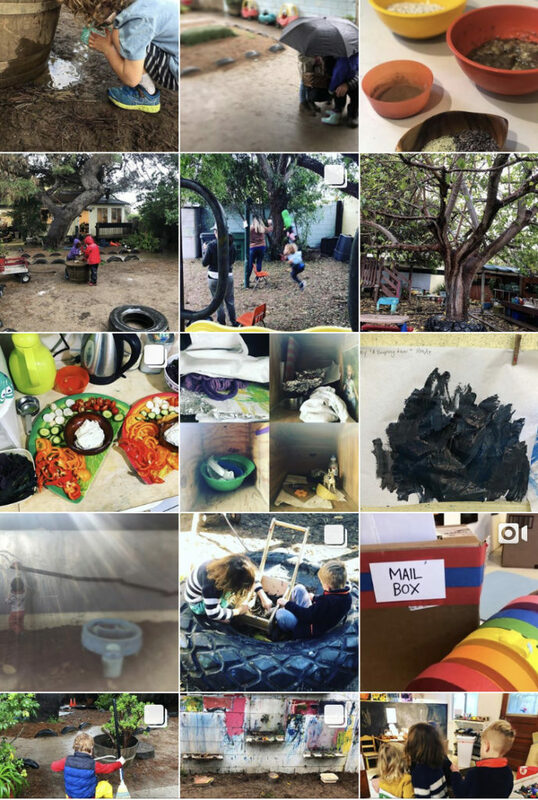 It’s a great way to keep a finger on the pulse of our lives at nursery school, to see all the wild and wonderful ways our children are working, playing, and learning. 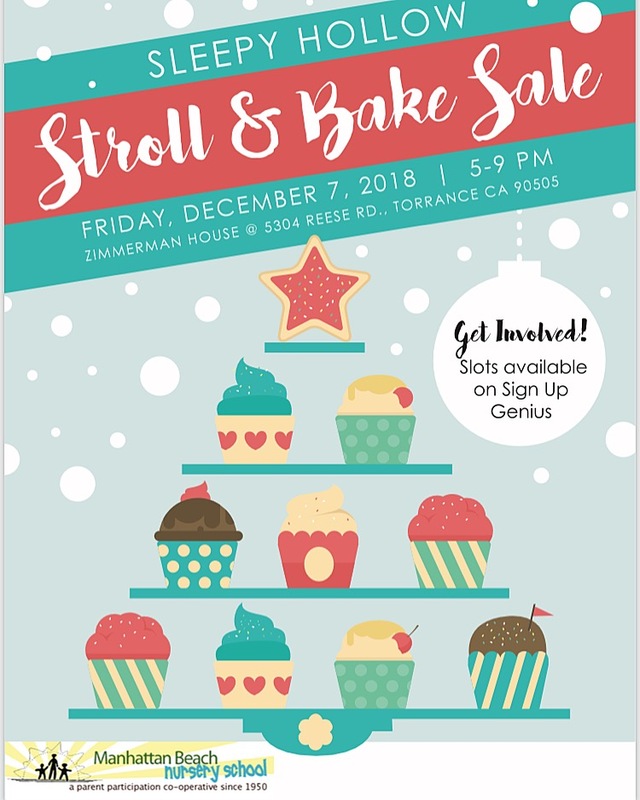 Holiday Stroll and Bake Sale, TONIGHT! Tonight, 5-9pm. Sleepy Hollow/Candy Cane Lane, Torrance. It’s time for our second annual Sleepy Hollow Stroll & Bake Sale. Kick up your heels and jangle your sleigh bells while strolling one of the South Bay’s beloved holiday traditions: the holiday lights of Sleepy Hollow/Candy Cane Lane. MBNS will be running a bake sale at the famous carousel house, which some of our alums now call home. Come #shopsmall and #shoplocal with your favorite nursery school. 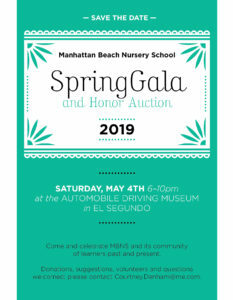 12:30-2:30pm, at 1520 Nelson Avenue, Manhattan Beach. 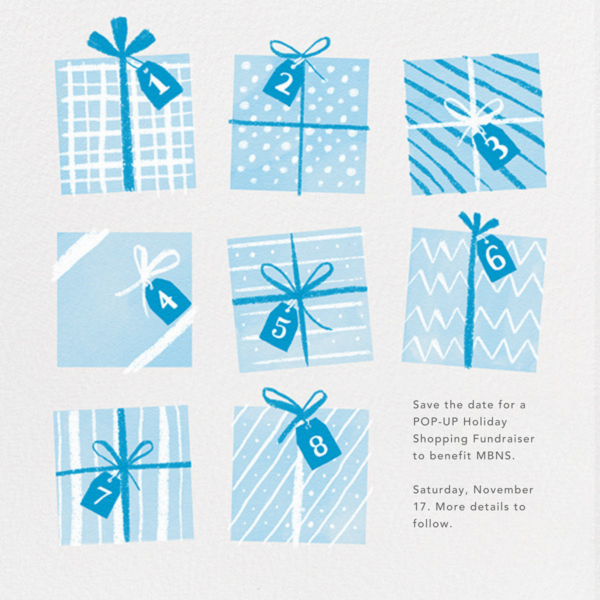 Pop-Up Holiday Shopping Fundraiser is *this Saturday* 11/17! THIS Saturday, 11/17, from 12:30-2:30 at MBNS: pop-up holiday shopping fundraiser… just in time to get gifts lined up for whatever you celebrate in the month to come! 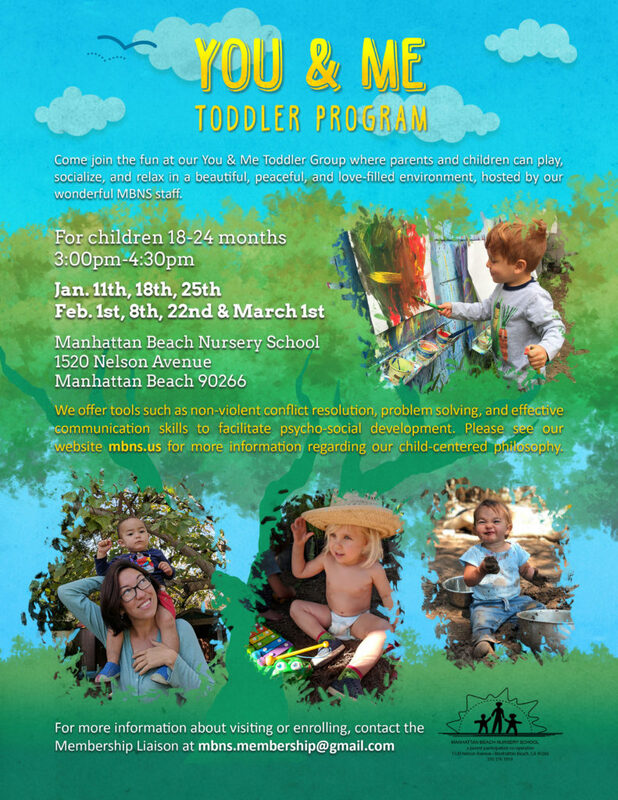 Tell your friends, family, and neighbors, and please come out and support nursery school! 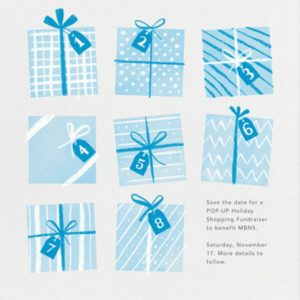 Pop-Up Holiday Shopping Fundraiser, 11/17 Saturday. Come on, come all, come get some holiday shopping done while benefitting our beloved school. 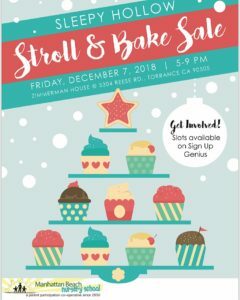 This is an adult shopping opportunity featuring community member businesses’ products such as Susan Odle, Beautycounter, a beauty company that aims to reduce our toxic load; Emie Fenton, Practical Magic Healing Herbal Remedies; Mara Gross, who sells kitchen/home products; Samantha Gibson, LuLaRoe clothing for people of all shapes and sizes; and others. More details to follow. Please let us know if you would like to be a vendor at this event and what percentage of your proceeds you will be donating to school. Or by shopping at Amazon !